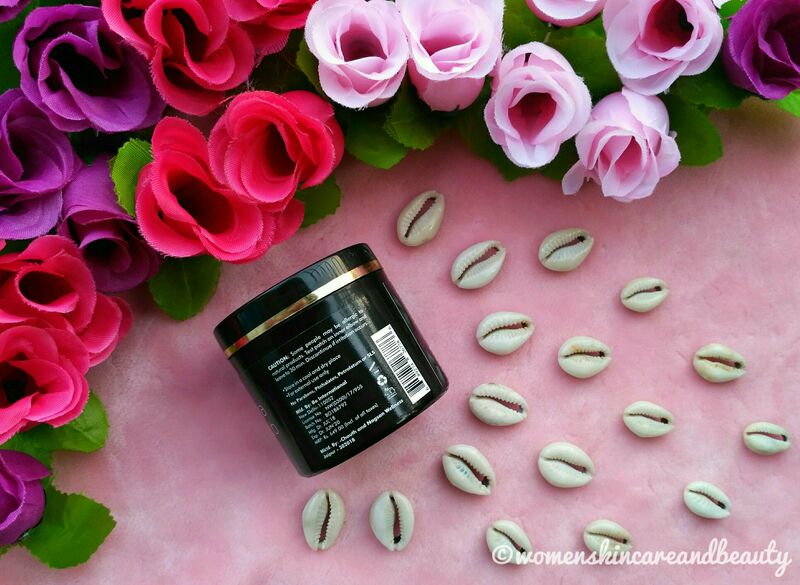 KEY INGREDIENTS: Aqua, Glycerin, Xanthan Gum, Zea Mays (Corn) Starch, Kaolin, Bentonite, Sea Silt (Mineral Dead Sea Mud), Prunus Dulcis (Almond) Oil, Simmondsia Chinensis (Jojoba) Seed Oil, Butyrospermum Parkii (Shea Butter), Vitamin E, Sodium Hyaluronate, Aloe Barbadensis (Aloe Vera) Gel, Juglans Regia (Walnut) Shell Powder, Green Tea Extract, Santalum Album (Sandalwood) Oil. 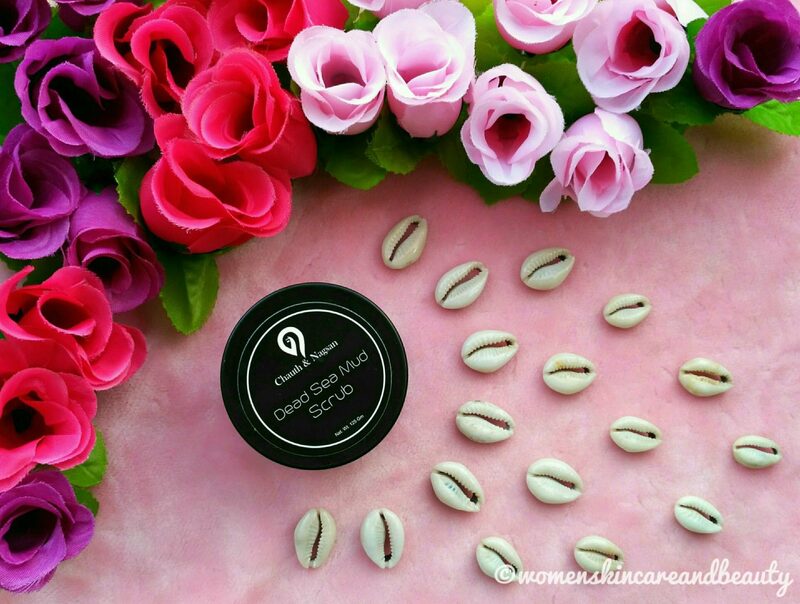 DIRECTIONS: Apply a healthy portion of scrub to targeted areas and massage into skin in a circular upwards motion. Allow 3 to 5 minutes before rinsing thoroughly. For best results, use regularly. 1. Easily available online on Amazon, Flipkart, Snapdeal and Facetyfirst! 4. Has a mild and soothing fragrance! 5. Contains a really good amount of scrubbing granules and just half a teaspoon of the scrub is enough for exfoliating the entire face and neck! 6. 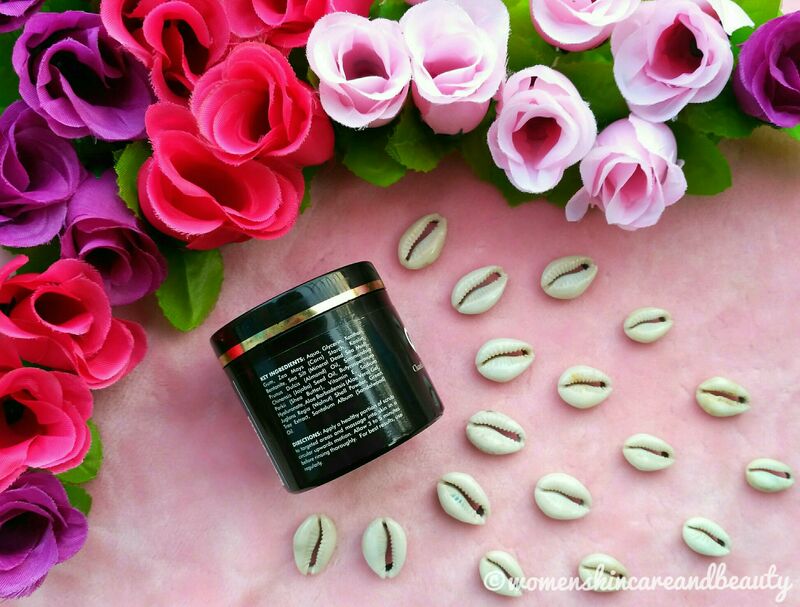 Deeply cleanses the skin and the pores and scrubs away all the dead skin cells and impurities! 7. Removes blackheads and whiteheads to some extent with continued use! 9. Doesn’t harm or breakout the skin! 10. Would suit all the skin types pretty well! 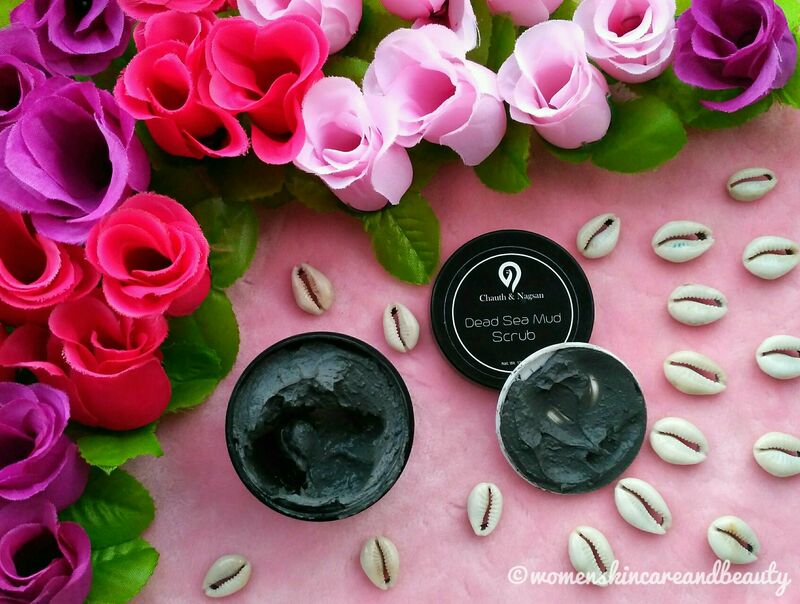 Dead Sea mud has many beneficial health elements, I have also read about the Karmic qualities of this mud. Glad it comes in this nice tub and can be used as an organic skin care product. As i have oily skin will surely try this i think it will work on my skin. Thanks for sharing this review and amazing shots. Oh my god, the scrub seems like a must try product to me. Though the price is on higher side, but I would love to try out. I saw your IG for this product and it looks really good. So far dead sea products have worked well for me too. 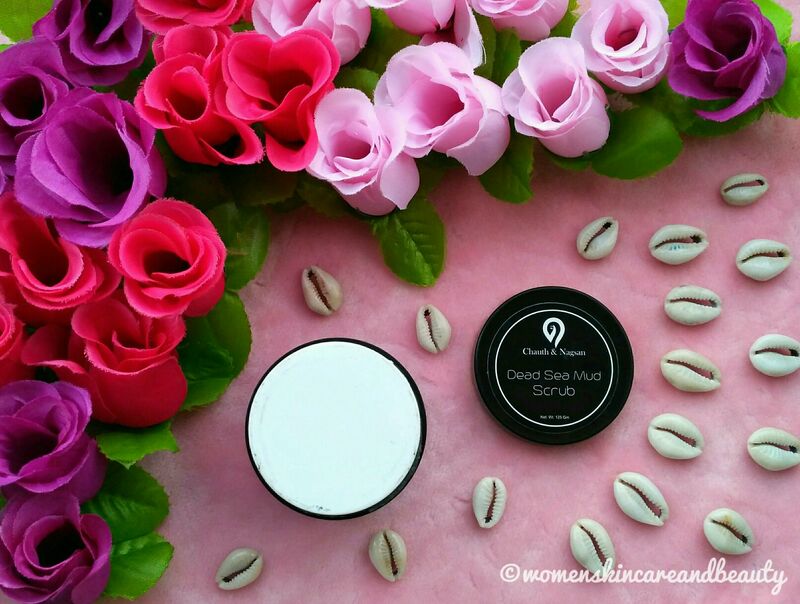 Dead sea scrub is very good for skin and this one is loaded with Aloe Vera too. I would like to try this as I have a combination skin. Dead sea ands mud based products are really good for skin. I came back on your website to check the packaging, ingedirents and the review of these products as I was planning to buy one. I’ve been hearing quite a lot about this brand and how it’s supposed to be really good for you! Thank you for the in-depth review about the scrub! 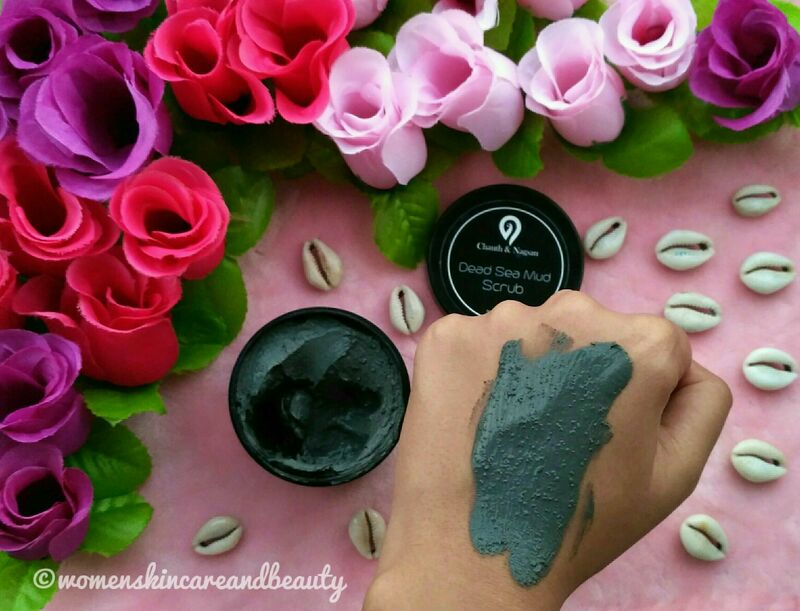 Dead sea mud have so many benefits to the skin and this scrub proves it all over. Even though it is priced a little high it definitely seems worth it. Thsi sounds like a good one to get rid of dead skin! Also, I can just feel how cooking it would be to teh skin. Lovely review. I have not heard of this company before, but I will check out their products now that you have recommended them to us. Your honest reviews always helps me choose the best. I read abt the product on IG and it instantly became likable. You know I don’t mind if a product is really effective but a tad bit expensive. I like the review of this product. This scrub sounds perfect for my skin right now, I need to remove all the dead skin and nothing better than this mud based product. Need it Mrinal. A scrub that suits all skin types and is available in a study package is perfect for traveling. I will give This scrub a try next summer when my skin is more on combination side. Right now it’s so dry!! I need hydrating stuff. Does this brand do hydrating products too?? 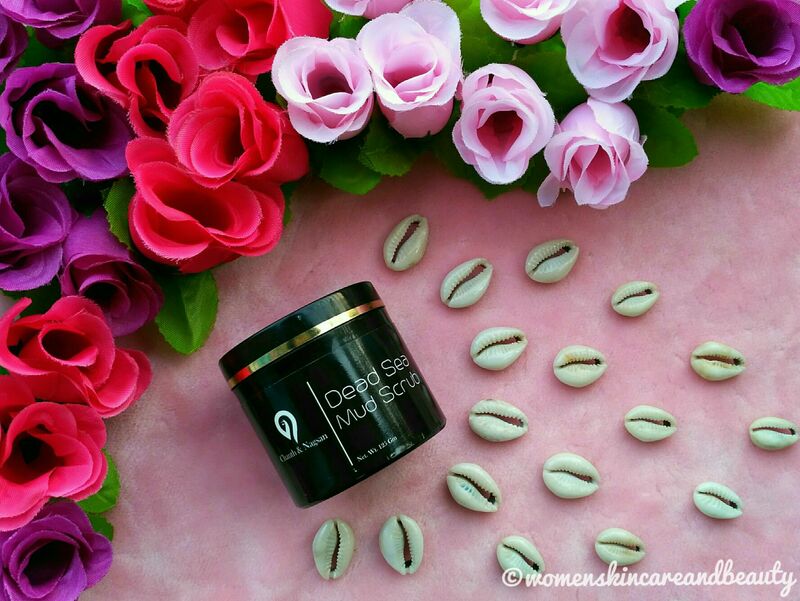 Dead sea mud scrub sounds good. I have to try it to see how it feels on my skin. Will order it soon to see. Thanks for the review. Dead sea is so beneficial for the skin! Good to know about this product. It has quite a long shelf life for all natural ingredients! What I love about your post is your detailed review and product shoot. I can feel how much effort is required for a creative shoot. And moreover so detailed and honest review!! Thanks for the review. It sounds like it will work well on my oily skin. How many times in a week do you recommend we use it, if we have sensitive skin?